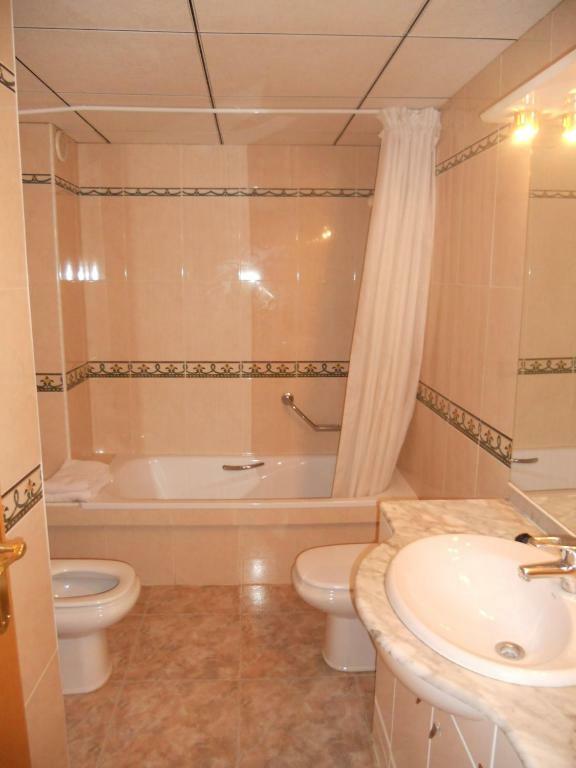 Very clean, ideal for families. Nice swimming pool. location,facilities, great for family and group of friends. This was a basic but fairly equipped and located apartment, good for 4 but a little tight for 6. 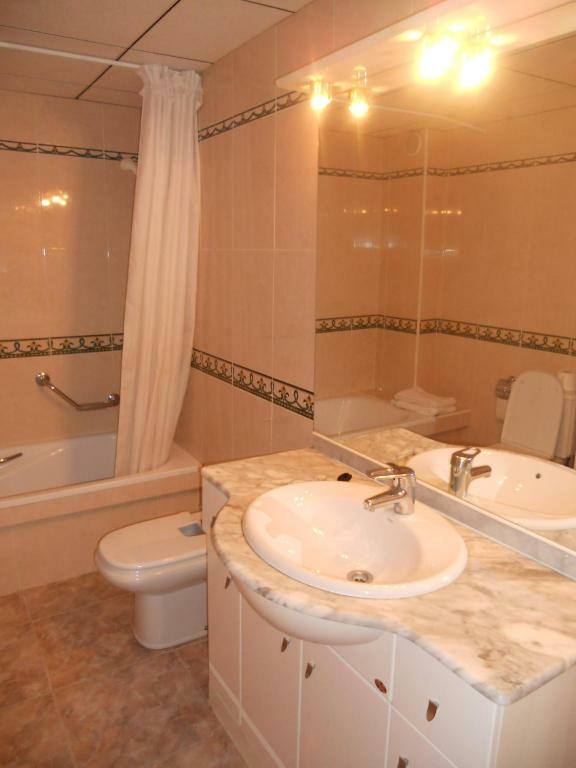 Maids called round with fresh towels, toilet paper and the offer of a clean. Picking up the keys went well and the manager was very pleasant and helpful. Итак. Понравилось всё: во-первых, сам город, место расположения отеля. В самом отеле: уборка предлагалась регулярно. Матрасы хорошие - что беспокоило до поездки, бельё чистое, меняли через неделю. Порадовал бассейн, комфортный внутренний дворик. Наличие интернета было решающим при выборе этого варианта. При заселении сейф не работал, был отремонтирован через 10 минут после обращения в офис. Наш солидный возраст, видимо, внушал доверие - с нас не брали залог. Lock in a great price for Apartamentos Palas Salou – rated 8.3 by recent guests! 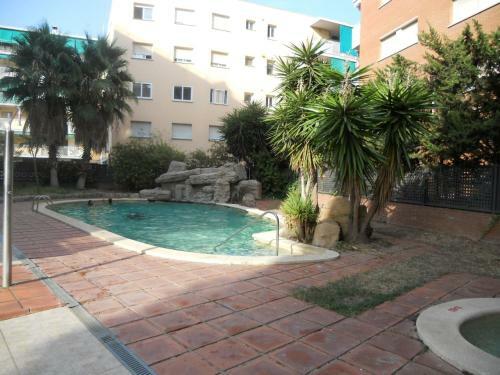 One of our top picks in Salou.Located in the center of Salou, these functional apartments are just a 5 minute walk from the beach. They feature an outdoor swimming pool with a sun terrace and lounge chairs. Apartamentos Palas Salou include a private balcony and the living room comes with a double sofa bed. The kitchen in each apartment is equipped with a fridge, microwave and washing machine. 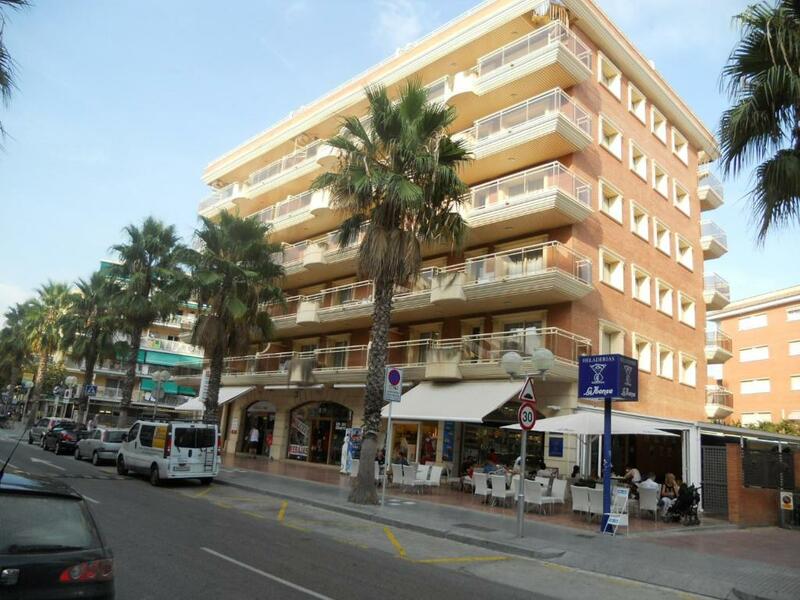 The Palas Salou complex is just 150 feet from restaurants, bars and stores. PortAventura Theme Park is just over half a mile away. The tour desk at Palas Salou Apartamentos can provide useful information on the surrounding area. Tarragona is 7 miles away, while Reus Airport is 9 miles away. 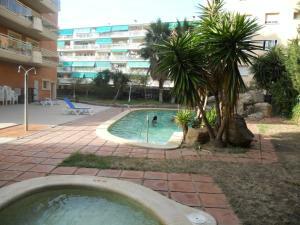 When would you like to stay at Apartamentos Palas Salou? 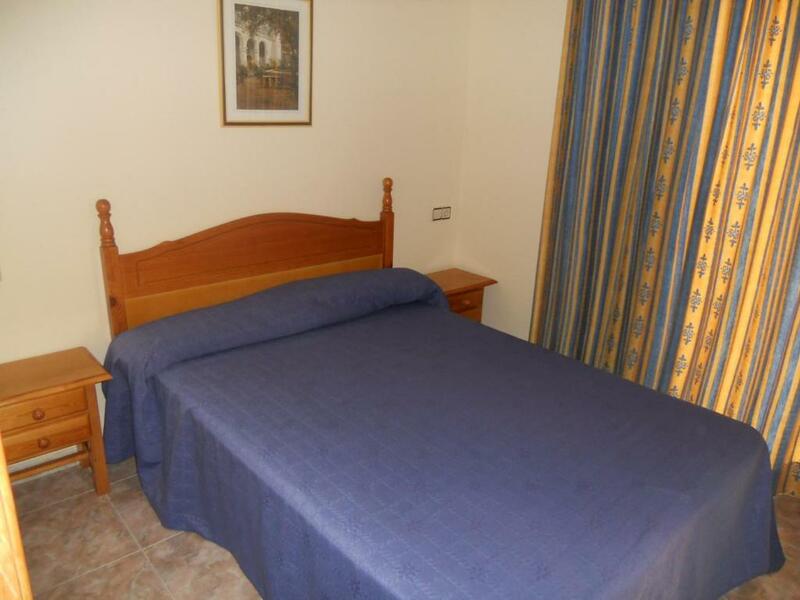 This air-conditioned apartment features a double bedroom, a twin bedroom and a lounge with a sofa bed and a TV. There is a private balcony, and the kitchenette includes a microwave and coffee maker. 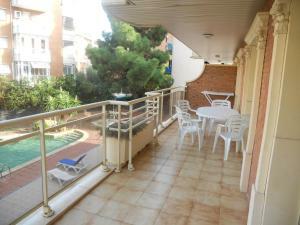 This air-conditioned apartment features a double bedroom, a twin bedroom, a single bedroom and a lounge with a sofa bed and a TV. There is a private balcony, and the kitchenette includes a microwave and coffee maker. House Rules Apartamentos Palas Salou takes special requests – add in the next step! 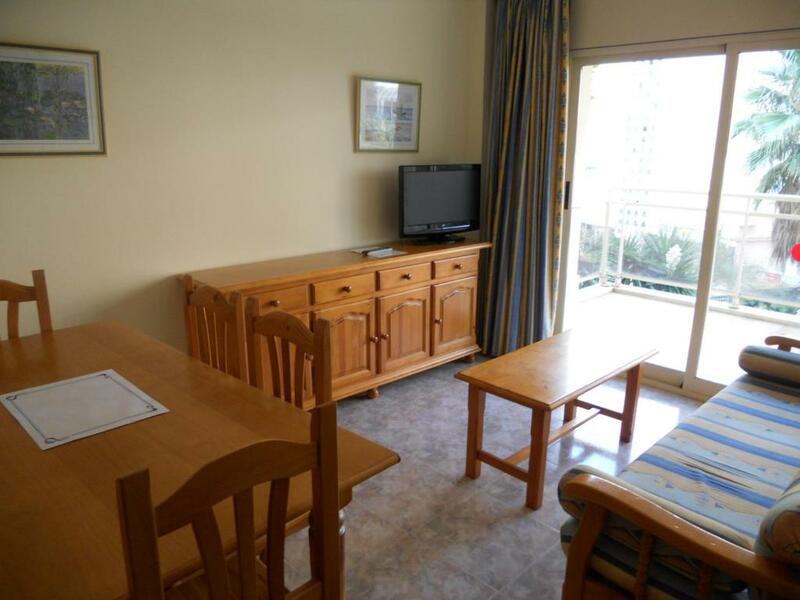 Apartamentos Palas Salou accepts these cards and reserves the right to temporarily hold an amount prior to arrival. time to short and weather. Absolutely unfrendly and helplEss manager. Kitchen facilities poor, no kettle after specifically stating at booking. Washing machine tripped the electricity circuits, no power in apartment for 12 hours, no Air/Con, had to throw away freezer food! Absolutely no help, no one to call, as it happened at 8.45 pm. Office closes at 8pm. No 24 hrs helpline. No information in apartment on anything, or in the event of fire where are exits!!!! Poor, Poor, Poor!